While the news that Lucasfilm had wanted to continue the Indiana Jones franchise preceded the next film’s official announcement by several years, that information didn’t always contain the name of the series lead actor. In fact, there had been some talk about rebooting the franchise with a younger actor. 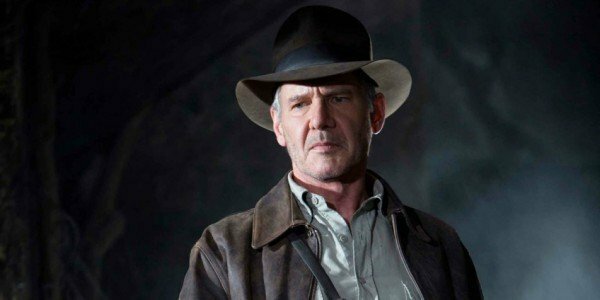 We know that in the case of the upcoming Indiana Jones 5 that will not be the case. Now, it sounds like it may never happen, as the producer behind the franchise says that the character has become too iconic to be played by anybody else. Frank Marshall has been a producer in Hollywood since the 1970’s. In the early 1980’s he helped found Amblin Entertainment with Steven Spielberg and Kathleen Kennedy, who would go on to become Marshall’s wife. He’s been a producer on the entire Indiana Jones franchise. Variety recently asked Marshall if we might see even more Indiana Jones films after the scheduled fifth installment. He told them that more sequels were certainly possible if the stories were right, but he also thinks the franchise will stop when Harrison Ford decides he’s done with it. I think both in the ‘Jason Bourne’ series and on ‘Indiana Jones,’ we are not going to do the Bond thing. We think those characters are iconic, and those are the only actors who can play that. James Bond as a character has grown to the point that he is larger than any of the actors that have portrayed him. The role being passed on from one actor to the next has now become part of the character’s mythology. In an era where every studio in Hollywood is looking for long running franchises, it’s actually refreshing to hear that, in at least a couple of cases, they’re willing to let a character like Indiana Jones rest after Harrison Ford is ready to retire the part. This is quite a change from previous rumors that we’d heard. Prior to the official announcement that Harrison Ford would be back, both Chris Pratt and Bradley Cooper were mentioned as potential replacements to relaunch the franchise. The last film in the franchise, Indiana Jones and the Kingdom of the Crystal Skull, was designed to set up a potential replacement with Shia Lebeouf playing the role of Indy’s son. In a case like that, the franchise could still continue without having to cast a new actor as Indiana Jones, an idea like that is still not entirely discounted based on Frank Marshall’s comments. Still, it feels like if there was ever going to be a chance to completely recast Indiana Jones, that opportunity has already been missed. By perpetually recasting James Bond, the character is able to successfully avoid aging. We’ve never seen an older James Bond. With Indiana Jones and the Kingdom of the Crystal Skull we’ve seen our lead character get significantly older, and he’ll be older still when Indiana Jones 5 comes along. Turning back the clock with a younger actor now seems like it would be very difficult to pull off. Would you like to see the Indiana Jones franchise continue with a new actor, or should it be left alone as an iconic part of movie history? Let us know what you think in the comments below.